There are a lot of reasons for possibly wanting a tattoo removed. The positive element of tattoo removal is that you are no longer burdened with a tattoo you seriously regret. If a tattoo is holding you back from getting a job you want or keeps you from attaining goals you have set for yourself, a little pain and scarring may be worth it to you. If you have a gang-related tattoo and are no longer associating yourself with that gang or any gang (good for you! ), it would be in your best interests to have it removed. If you have a tattoo that symbolizes hate or prejudice, I hope that you will decide that it is time to let it go. If you are wearing a tattoo of a past love and now you have a new special person in your life, it would be unkind to your new love NOT to get rid of the old tattoo. If you have a tattoo that you wish to have partially or completely removed, you should first consider your options and decide which method might be best for you. 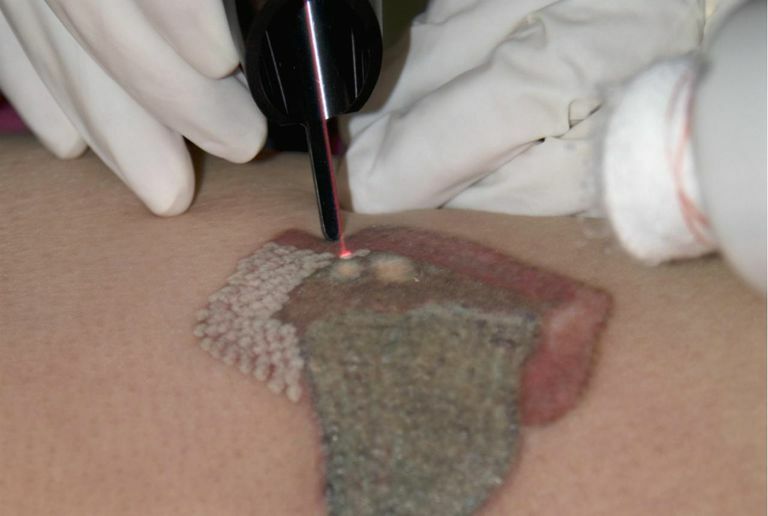 Today, lasers are the most common method of tattoo removal. They work by targeting the ink with pulses of highly concentrated light that break the ink into tiny fragments, which are then cleared away by your own immune system. However, this isn't all done with just one treatment. The more treatments you have, the more the laser can penetrate to destroy the ink. But, the more treatments you have, the more damage you do to your skin, causing painful blisters and scabs that can eventually lead to scarring. Experts in removal therapy say that technology has advanced to the point where scarring is minimal, sometimes non-existent, but this can vary depending on the situation. On top of being physically painful (it has been described as feeling like being splattered with hot grease), laser removal can be painful to your wallet as well. Depending on your tattoo, you may need anywhere from 1-10 sessions, each costing in the range of $250-$850 per session. A large, professional tattoo in color could cost thousands of dollars to remove, and the effectiveness of the removal still isn't guaranteed. Intense Pulsed Light Therapy, or IPL, is a dermal enhancer currently being used in some spas. Instead of laser light, it uses high-intensity light in pretty much the same manner. A gel is applied to the skin and then a wand is used to emit pulses of light onto the skin area being treated. This method is said to be less painful and more effective than traditional laser therapy, but there are many tattoo removal experts who do not recommend IPL. Even if it does work a little better, the bad news is that it also carries a heftier price tag - one clinic offering a price of $10 per pulse. Depending on how many pulses per session your tattoo requires, this could add up to a significant amount of money. There are other methods of tattoo removal, but most of them are so painful and ineffective that laser removal replaced them as soon as it became available. These other methods include dermabrasion, which would actually "sand" away the top layer of skin through abrasive friction. Another method is excision, where the tattoo would be cut away and the skin is sewn back together. These methods have proved to cause much damage to the skin and result in severe scarring, and are only used today in extreme cases where laser surgery is not an option. I have not personally tested any of the at-home cream removal methods I have seen advertised - even the ones that appear right here on this website. Honestly, I would not expect a whole lot from them. However, the Tattoo Removal Institute (which I am suspicious of being connected with Tat B Gone, but I can't prove it yet) states that they have tested a few of these products, and found a couple of them to live up to their claims. According to their research, both TatBGone and Tattoo-OFF did show significant fading of the tattoos without any pain or damage to the skin. I am still very skeptical, but if you really need a tattoo removed and don't have the money for surgery, I guess it wouldn't hurt to try one or both of these products. It's not chump change, though a 2 month supply of Tat B Gone is $125, and it takes several months to get the desired results, according to the Tattoo Removal Institute. A 2 month supply of Tattoo-OFF is $116.95. So, it isn't inexpensive by any means, but certainly a lot more affordable than laser surgery. But before you shell out any money for these products, you might want to read some of the comments that have been sent in by people who have tried them. Some tattoo artists can fade a tattoo by "tattooing"(not injecting) saline solution into the area where the old ink resides. This is most effective with older tattoos, and is not a reliable method for tattoo removal. However, sometimes this can be done to fade a tattoo and make it easier to cover it up with a new tattoo. There is some controversy among tattoo artists as to the effectiveness of this technique, but it poses no harm to the client and is worth a try for someone wanting to lighten an existing tattoo. Finding an artist that does this, however, may be difficult. 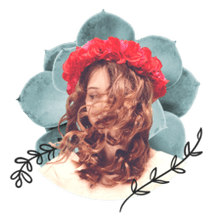 If you have a tattoo you just don't like, there is an alternative to having it removed - and it's much less painful and a lot less expensive. It's called a cover-up, and that's exactly what it is. A cover-up is simply having an old tattoo covered up with a new tattoo. Many tattoo artists are becoming quite skilled in doing cover-up jobs and can help you come up with a design that you will be much happier to live with. The price is usually just the price of a regular tattoo, and when done correctly your old tattoo will be completely invisible, reduced to a memory. There are limits to cover-ups. You can't cover something black with something yellow. A very dark tattoo will need to be covered with something dark. Areas with ink on them obviously need to be covered, so a design with too many spaces and blank areas may not work. But, with a talented cover-up artist, you can end up with a cover-up tattoo that looks even better than you hoped. If you're looking to get a tattoo covered up, it's important that you find a tattoo artist who has experience in doing them and can prove it with examples in his/her portfolio. Once a tattoo has been covered up, it's very difficult - if not nearly impossible - to cover it up again if it's not done right.